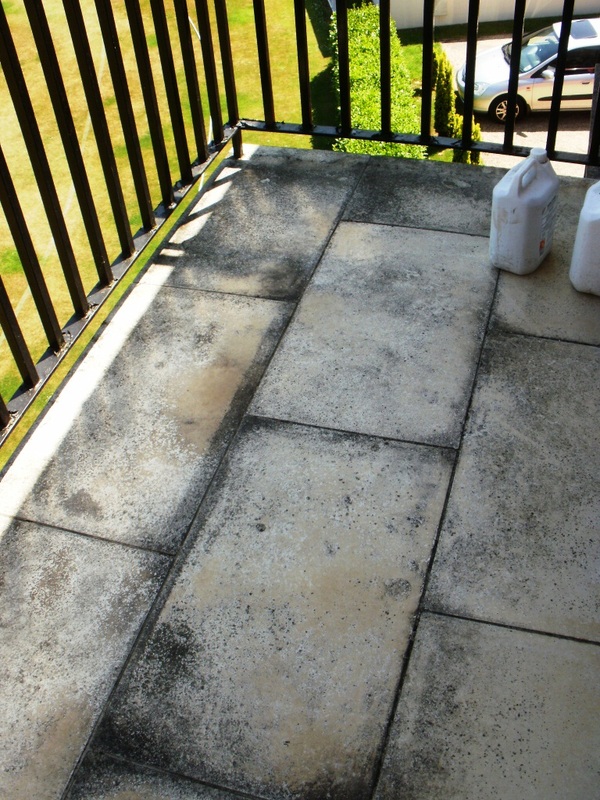 This balcony in St John’s Wood, London, NW8, which had been clad in Limestone floor tiles, had not been professionally cleaned for 15 years and was now covered in mould which the customer was unable to remove. To get the Limestone clean I used a neat solution of Tile Doctor Pro-Clean with was left to soak into the stone before being worked in with rotary machine fitted with a black buffing pad. This process removed most of the mould but there were still some stubborn patches so I then used a further application of Pro-Clean this time mixed 50/50 with Nanotech Ultra Clean to add an abrasive element to what is a powerful alkaline cleaning product. This was scrubbed into the tile and then steamed off using a Bosch steamer followed by further scrubbing by hand. 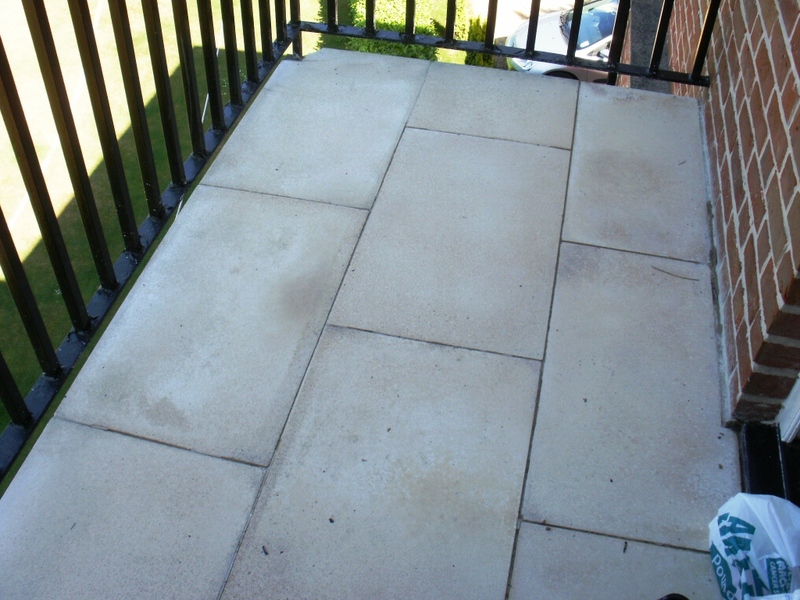 The next step was to use a set of four Tile Doctor burnishing pads to polish the Limestone surface to a low sheen. These diamond encrusted pads come in a number of different colours and are applied one after another with each pad being a finer grade than the last. After thoroughly rinsing the stone again and removing the waste water with a Numatic aqua vacuum I left the tiles to dry off overnight. Luckily the weather remained fine. The next day I sealed the Limestone tiles using two coats of Tile Doctor Colour Grow sealer which I prefer for Limestone as it enhances the natural colours in the Limestone floor as well as providing stain protection something I’m sure it’s going to need given the location. Although not quite all the damage from the mould could be entirely removed the tile was 95% improved and the customer was very satisfied with what had been achieved. This entry was posted in Limestone Posts and tagged central london, cleaning business, cleaning services, Limestone balcony, maintenance, restoration, St John’s Wood, steam cleaning, tile cleaning, tiled floor by AbzDominise. Bookmark the permalink. That’s the trouble with the UK climate; cold, damp and guaranteed to spoil the look of your stone over time.